It seems that everyone is an expert when it comes to what is good for you - even if there is no evidence to support their claims. At best, such advice is harmless, at worst - it could end up killing you. There are some foods, though, that are exceptionally healthy and science is finally catching up to what some cultures have already known. Turmeric is one such example. This is one spice that has been used for centuries as a medicinal herb. If you're not looking to change your diet, consider taking a nutritional supplement for health benefits. Below are some "healthy" foods that should be avoided. Take a look at the fruit juices on offer at the store. They usually have a small percentage of real fruit, made more palatable by the addition of a lot of sugar, making them little more than sugar water. Even if you squeeze your own juice though, you are still going to get into trouble. Fruit has a lot of naturally occurring sugar. The effect of that sugar is, however, diluted by the naturally occurring fiber in the fruit when you eat the fruit whole. Without the fiber, your glass of orange juice basically contains the same kind of sugar shot as a soda does. Take the fiber out of the picture and there is no buffer between your blood stream and the sugar. That means digestion happens quickly and the sugar is jacked straight into your bloodstream. An apple a day keeps the doctor away but a glass of apple juice a day could lead to heart disease, adult onset diabetes, obesity, etc. Do yourself a favor and eat the fruit whole. Whole wheat is better than processed wheat - no question. That said, neither option is particularly good for us. It is better to avoid wheat altogether. Wheat is the number one food source when it comes to gluten and research has now proven that a large portion of the population are, in fact, gluten sensitive. Gluten sensitivity is no joke - the victim's immune system views this protein as a disease and attacks it, causing inflammation and damage to the intestinal walls, bloating, fatigue and a general feeling of ill health. According to another study, the fiber in wheat can actually increase the speed at which your body uses its stores of Vitamin D, leading to deficiencies, according to one study. Another study that compared the effects of wheat versus those of oats found that dense small-LDL levels (not the good kind of cholesterol) in those eating wheat were 60% more than the other group. Agave is touted as the purely natural and healthy alternative to sugar and artificial sweeteners.The reason for this is because it falls on the low side of the glycemic index and is natural. The truth is somewhat different though - it is not because sugar is so high on the glycemic index that the effects are dangerous but rather because it is full of fructose. Fructose can be labeled one of the most dangerous substances on the planet and its excessive use has been linked to a number of health problems. Where fructose consumption is consistently high, the liver becomes saturated with glycogen and from then on, any additional fructose is converted into fat. 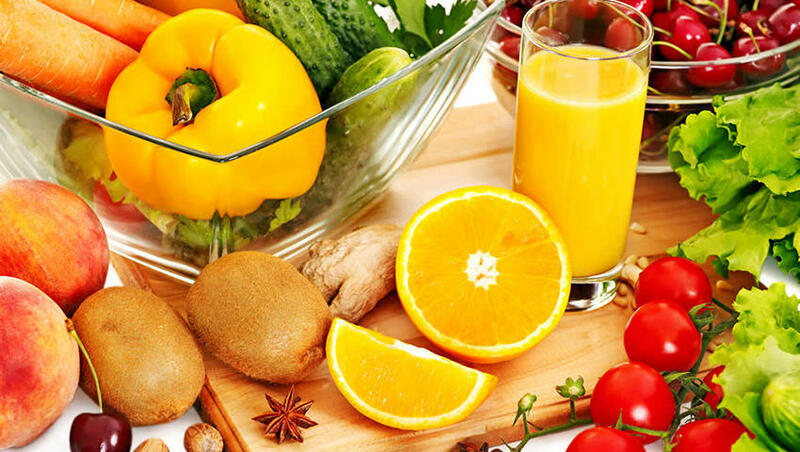 This paves the way for dangerous liver and metabolic diseases. Agave contains around about 90% fructose - sugar is actually the better option at 50%. If you are an athlete and have undergone a really heavy workout session - i.e. at least an hour of intense exercise - you may need a sports drink. That is what they were made for - the replenishment of liquids, sugars and electrolytes. But under pretty much any other circumstances, you should not be drinking sports drinks. Considering that we all get far more sugar than we need anyway, most people should strike these off the grocery list. If you are hitting the gym, make sure to drink plenty of good old fashioned water and skip the sports drinks. As recently as 20 years ago, saturated fat was the big baddy when it came to nutrition and the food industry set out to remove it at all costs. As a result, a number of unnatural, man-made ingredients took hold and came into common use. Veggie oils fall into this category. Just consider the processing methods used to start with: they are heated, bleached and saturated with toxins in order to come up with a product that is no longer natural at all. There are a lot of Omega-6 in these oils - a lot more than humans could naturally source. We do need Omega-6 in our diets but not in such large amounts. We get more than enough from nuts and meat. Most Westerners eat too many and this creates serious health issues such as lifestyle diseases. To really put a nail in the veggie oil coffin, the oils that you typically find in the store can contain almost 5% of the Omega-6 base as hydrogenated fats - even more dangerous. The body stores these oils with our other stores of fats and within the walls of the cells - this leaves them exposed to damage from oxidation. Stick to pure olive oil. Relatively speaking, it is good for you. The diet industry has a lot to answer for - it is not the fat in foods that has been found to be damaging to health - saturated or not. Saturated fats have now, at worst, been proved harmless and, at best, actually healthy. The problem with low-fat diet foods is that they really do not taste good as is. To remedy this, these products are loaded with artificial taste enhancers and tons of sugar, converting what may have been a healthy food into a dangerous one. A lot of people have cottoned on to the fact that gluten can be bad. It is estimated that 30% of all Americans would like to cut it out altogether. 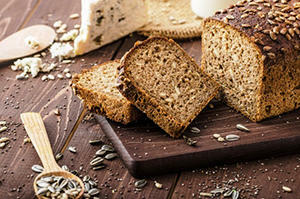 Marketers have also picked up on this and have started to offer "healthy" gluten-free options. Sounds great, right? You would think so -- and you'd be wrong. Most of the time, these foods are actually very bad for you. Just because there is no gluten in a food doesn't mean that there are no carbs - they just switch out the starch for something else. These include potato starches and the like and are generally refined to the point where they practically have the same effect on blood sugar levels as wheat flour. In addition, they want the foods to taste good so they throw in a bunch of sugar and load up with the artificial taste enhancers and additives. There are, of course, foods that naturally occur that have no gluten in them such as meat and veggies. What you want to avoid are the processed options that are marketed as being gluten-free. Butter was extremely bad for you up until just a few short years ago - even now there are those that believe that butter needs to be relegated to the sidelines. But is margarine really the good guy since it is made up of natural oils? Nope! There is nothing natural about margarine at all. The only thing that manufacturers have done to improve margarine is to reduce the number of trans fats in it. But these have been replaced with refined veggie oils which are almost as bad for you. The truth is that butter is good for you - it is all natural - while margarine is completely man-made and is very unhealthy. If you can stick to butter from grass-fed cows, you have a top health product - a source of top quality vitamin K2 an essential nutrient for good health. A study tested the validity of completely restricting butter in favor of margarine. The participants were found to have an increased propensity to die of cardiac arrest. Give me butter any day! These are pretty much the same as your sports drinks (see above) - for the most part, they aren't necessary. For athletes that have brutal training schedules and who need to really up their intake of protein, it makes sense to keep these to hand (assuming the ones they buy really are high-protein). But for the average Joe, they do more harm than good. For starters, they are usually nothing like natural foods at all - they have undergone a range of processing. In fact, generally speaking the only difference between these bars and chocolate bars is that they have higher levels of protein. The sugar, fat, etc. content is usually on a par since they do after all, have to make them taste good. You should not lump all these bars into the same category. Instead you really need to scrutinize the ingredients before buying any one in particular. If you cannot get to your own fridge and need a quick, filling snack, choose one of the bars with healthier ingredients - it will certainly be better than chips or chocolates. Just don't make a habit of it. There is a movement that acknowledges that it is not fat that causes weight gain but, rather, eating the wrong sort of carbs. The food industry has jumped on the bandwagon as well and released a variety of "healthy" low-carb options. Do not be fooled though - low-carb does not necessarily mean low junk content. Look at the list of ingredients - my theory is that if you cannot pronounce an ingredient or don't know what it is, it should go right back onto the shelf. You are better off sticking to eating real food. How food manufacturers can spout the rubbish they do about cereals and still look mothers in the eye is beyond me. Just take a look at some of the cereals out there - you may as well be handing your kids a bowl of sugar and be done with it. Take a look at how high up on the list of ingredients sugar or fructose is. This is a particular problem when it comes to kids' cereals. Then they throw in a bunch of refined carbs, a few vitamins and maybe a couple of unprocessed grains so that they can market the whole thing as good for you. Read the ingredients before you buy these products. Instead of setting your kids up for a good day at school, you may be laying the groundwork for the development of diabetes and chronic health issues. Real food doesn't need a great marketing campaign to extol its health benefits - if the food you are eating does, it may not be as good for you as you would like to believe.